This resort boast 144 guestrooms decorated with traditional Thai silk and furnishings and is surrounded by landscaped gardens, hot spring pools and Icy pool. 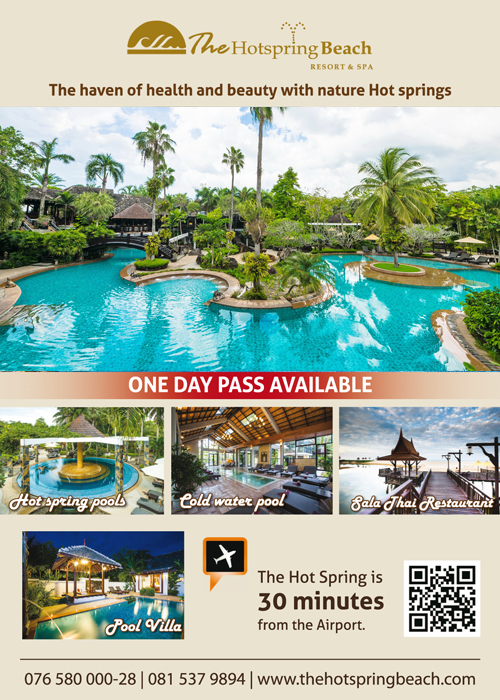 The Hotspring Beach Resort & Spa is only a 25-minute drive from the Phuket International airport. The 5-star resort is also north of the Sarasin Bridge and near the small village of Kok Kloy and Natai Beach. Guests can pamper themselves at one of the five spa pavilions which are surrounded by beautiful gardens and lotus ponds and have mineral hot spring pool to revitalize the skin. The on-site restaurant serves a delicious variety of both traditional Thai and Western cuisine. Visit us today! Only 500 baht for a one-day pass! Dusit Hotspring Beach Resort & Spa Ltd.